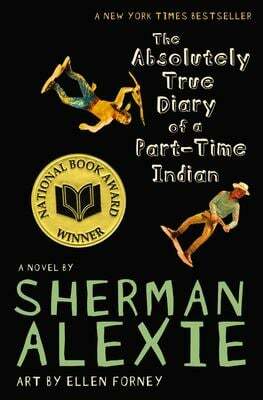 Alexie's National Book Award winner chronicles the contemporary adolescence of one Native American boy as he attempts to break away from the life he thought he was destined to live. Includes poignant drawings that reflect the character's art. Used Good (6 available) Former Library book. Shows some signs of wear, and may have some markings on the inside. 100% Money Back Guarantee. Shipped to over one million happy customers. Your purchase benefits world literacy! Used Good (30 available) Shows some signs of wear, and may have some markings on the inside. 100% Money Back Guarantee. Shipped to over one million happy customers. Your purchase benefits world literacy! Used Very Good (8 available) Great condition for a used book! Minimal wear. 100% Money Back Guarantee. Shipped to over one million happy customers. Your purchase benefits world literacy!